POKHARA, Aug 1: A government market monitoring team in Pokhara has found serious issues regarding the quality of goods and services that is directly affecting public health and well-being. Some of the issues the team identified were: extremely poor facilities in the medical sector, unhygienic canteens in hospital, date-expired foods in shops, and date-expired gas cylinders. 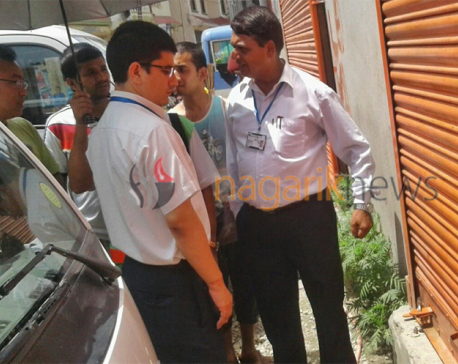 The team has monitored and inspected in 28 shops and firms based in Pokhara, from July 19 to 27. The team, coordinated by Nepal Bureau of Standards and Metrology, comprised of representatives of District Administration Office, Nepal Oil Corporation, food inspection authorities, consumer forum, and the police were part of the team. The inspection team found that 11 shops were using instrument that gave accurate measurement, but the rest had malfunctioning instrument. Manoj Pokharel, chief of Pokhara office of the bureau, said: "We are taking action against the firms that had malfunctioning instruments. Till now five firms have been charged already." Lekhnath Pure Water Industry, Pokhara Organic Agro Products, Syaphron Drinking Water Industry, Gaurav and Saurav Stores, and Ratna Shopping Center have been punished, Pokharel said. They have been charged as per the Standard Measurement and Weight Act 1968 and Regulation 1970, Pokharel added. He further said that the market monitoring team had destroyed foods worth Rs 20,000. The monitoring also found three date-expired cylinders. Even the drinking water was found to be unhygienic and there was less quantity. The team found 18.5 liters in a 20-liter jar of drinking water. 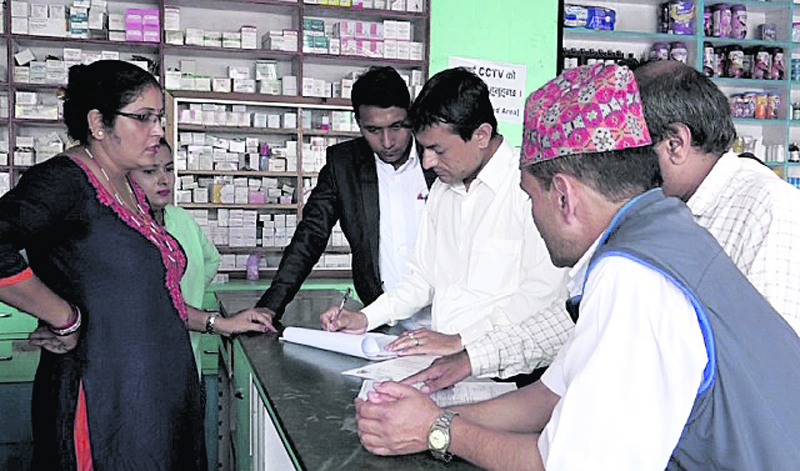 The monitoring team also inspected 55 health institutions of Pokhara, of which Syangja City Laboratory was shut down for running without proper infrastructure, said Kapil Nath Koirala, president of Upabhokta Manch Kaski. He further said that unregistered X-Ray machines, pathology labs, and OPD services of Diya Medical based in Prithvichowk were stopped. The firm was run by Dr. Dhaka Kumar Shrestha, the emergency section in-charge of Paschimanchal Regional Hospital. 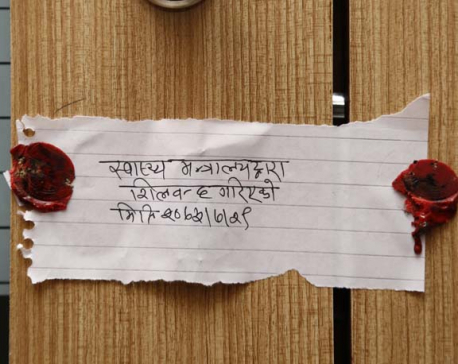 The monitoring team has also closed down the unregistered laboratory of Sapana Ayurveda Hospital and OPD facilities of unregistered Gorkha Medical Hospital based in Mahendrapula, Koirala said. "Hospitals had taken license on the condition to provide 10 percent free beds for low-income, marginalized and old aged citizens. But they do not seem to be doing so," he said: "The consumers have been deceived everywhere." The monitoring team has directed these hospitals to provide free service to the targeted groups. Most of the hospitals do not have ramp for patients and the canteens have been found to be unhygienic. He said that the hospitals were recommended to hire manpower as determined in the Specialist Doctors and Nursing Service Directory. The monitoring team also inspected agriculture market of Pokhara. "Some of the milk packets did not have precise printed labels and contained 10 grams less than the stated weight," Koirala said. The team also inspected 25 meat shops and found most of them selling unhygienic meat. "Most of them did not have a slaughter house. They were selling meat in traditional way," Koirala said: "Some of them were too congested, and some did not have enough water supply." KATHMANDU, Nov 14: A team from Ministry of Health on Monday raided 34 clinics and pharmacies in Kathmandu and Lalitpur.